A BIG beady eye fixed its gaze on me. Suddenly the long, powerful tail started to twitch and the monstrous beast lifted to its full height on razor-sharp, clawed feet. 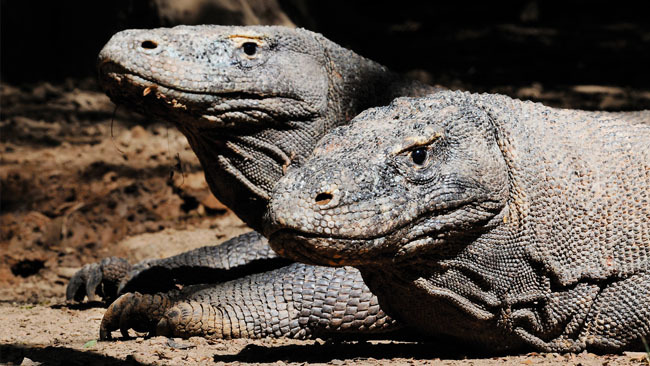 I was sitting on the ground near a water hole trying to get a low-angle close-up shot of two Komodo dragons, side by side in the wild. "I'd get up now sir," our guide pleaded with a hint of trepidation in his voice as he readied his stick to counter a possible attack. When one of the reptiles moved towards me, its long, white, forked tongue darting in and out, I didn't drag my feet in heeding his earnest warning. Earlier we'd been told how a bite from these 3m monsters causes a painful death to their prey by infecting them with poison. Only a couple of years ago a child was taken from a village by a dragon.